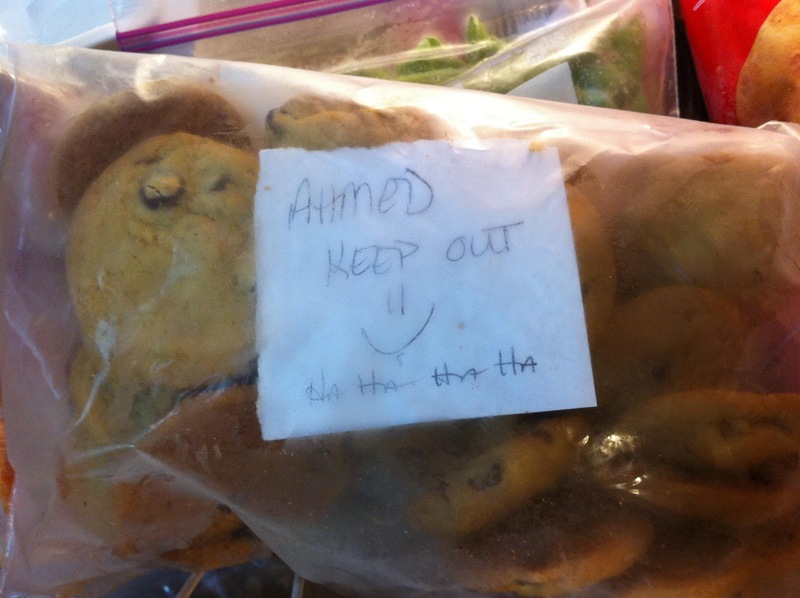 Post it in bag of Chocolate Chip Cookies: "Ahmed Keep Out"
It's certainly not the best kept secret at my parent's house, I love cookies. My mother was known to hide cookies from me while growing up because I devoured them like the cookie monster. Now, I have warning labels at my in-laws when it comes to cookies. If the trend continues, the Surgeon General will probably follow suit and make it mandatory for confectioners to carry a similar warning label on their packaging.